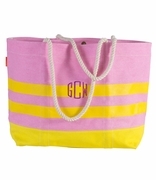 This large lightweight canvas cloth tote will be a favorite for trips to the pool and beach this summer. Padded handles and two-tone contrasting stripe. Front pocket. 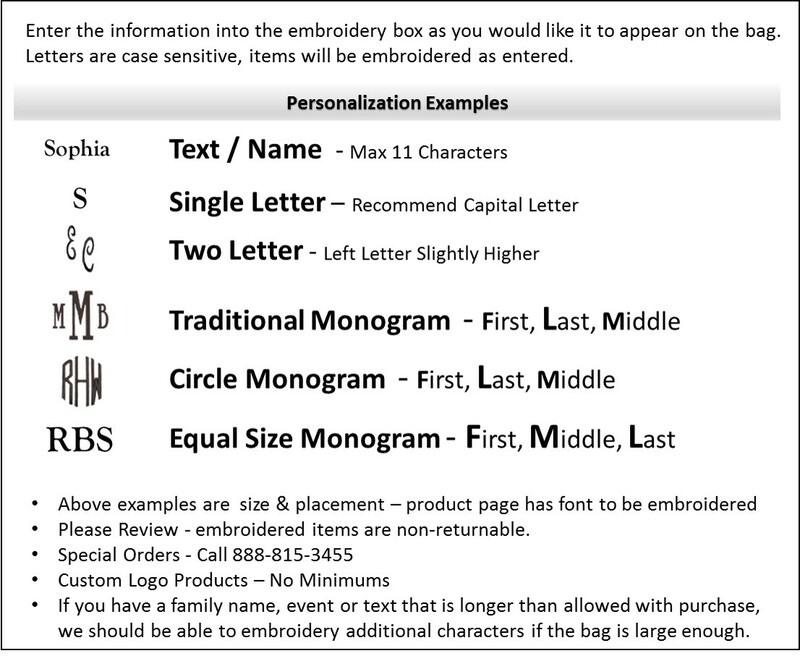 Includes name, single or three letter monogram. Available in red. 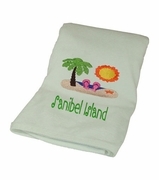 Cloth beach bag measures 21"W x 12"H, 8 inches across the bottom. Accented with covered handles, and zipper closure.